When it comes to comparing aircraft maintenance quotes, you should be more concerned about what is not listed than what is. To help make this process easier, we have compiled a list of questions and discussion points to help you get the details behind the numbers. This is not an all-inclusive list, but it is a great place to begin. Here are some things to begin the proposal conversation with your sales rep.
Is the interior R&R included? 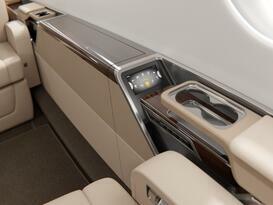 This is often required to gain access below the cabin floor. What about paint touch-up? And if so, is touch-up completed by spray or brush? Are there state taxes on parts and labor? Consumables and freight charges? Are they included? 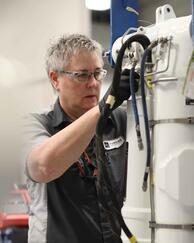 Are support services like NDT, machining services, hydrostatic testing, included? Is tool rental included or an additional charge? Are any additional mods required to complete the workscope, like relocating antennae? Does the proposal include just the baseline package or does it outline optional features of the system being installed? 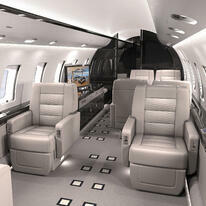 Is the MRO including other recommended options based on feedback from other operators who have installed the system? The number of variables that impact a quote for paint and interior completions work is nearly inexhaustible. In addition to the base paint quote, does the proposal include painting the entry air stair? Does that include replacing the step tread or masking around it? How many stripes and stripe colors are included? Are metallic stripes an up-charge? Is there design support if the paint scheme is changing? What are the options if you request a custom or second base color, wing color, tail color, or logo? Is painting of the wheels and landing gear included? Is the foam replaced during the seat upholstery or just the dress covers? What type of material is being quoted for upholstery of the divan, leather or fabric? Is rewebbing of the seatbelts included in the upholstery of the seats and divan? If it is a partial interior, and the leather color is changing, are all the leather items quoted for recovery (curtains, entry door shrouds, lavatory seat, etc.)? Is the carpet being replaced hand-made or machine-made? Is the carpet pad being replaced and if so, is the new pad being installed equivalent to the existing pad or does it provide additional thermal or acoustical qualities? Always provide your logbooks up front. Doing so will get you an accurate quote on Service Bulletins, life-limited component replacements, and required Airworthiness Directives. For non-program engines determine what level of service is being quoting. If only quoted the lowest minimums available for the engine, you can bet you will end up paying more in the end. Always ask the MRO to be up front about the expected expenses and the parts and other components that typically need replacement. 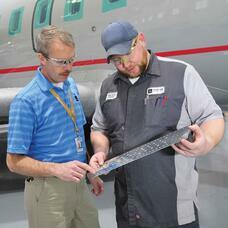 Landing gear quotes can be offered in a variety of pricing structures. 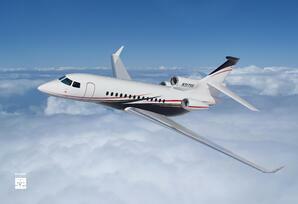 NTE (Not To Exceed) is the most popular and the structure used most often at Duncan Aviation. With NTE, you are provided with the maximum quote and an assurance your final bill will not exceed that quote. Often, the final bill is under the NTE price. Other options are Firm Fixed and Standard. With Firm Fixed, you are provided with the final bill before your gear arrives. It comes with a no bill-back guarantee, regardless of the condition of the gear. 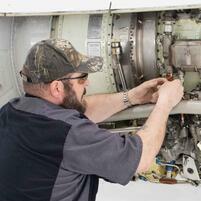 Standard Pricing includes all labor required to perform the normal inspection or overhaul and required parts. Any discrepancies found during the inspection that require additional parts and labor will be quoted over and above. Whichever pricing structure you select, pay close attention to the exclusions on the contract. They can add extensive additional costs not included in the quote. These include additional customer requests, optional Service Bulletins, missing or abused parts, replacement of life-limited parts, and engineering fees, if required. Does it include shipping costs for outsourced components? Are parts or other special programs included in the pricing? What are the contract exclusions? What parts are considered over and above? Are discrepancy and repair costs included in the labor flat rate? Evaluating the many quotes an operator receives in the course of preparing for an aircraft service event can be an overwhelming experience. Ultimately, the success and satisfaction of a maintenance event is a team effort. You are as much a part of the team and its success as we are. Bottom line…call and allow us the opportunity to walk you through the quote so you can better understand the proposal details as well as the ultimate workscope. The Duncan Aviation in-house professional design team has created five designs specifically for the Citation CJ3 aircraft. The five designs pair light and airy colors that make the cabin appear more spacious and open with darker, complementary colors for the carpeting and lower sidewalls. 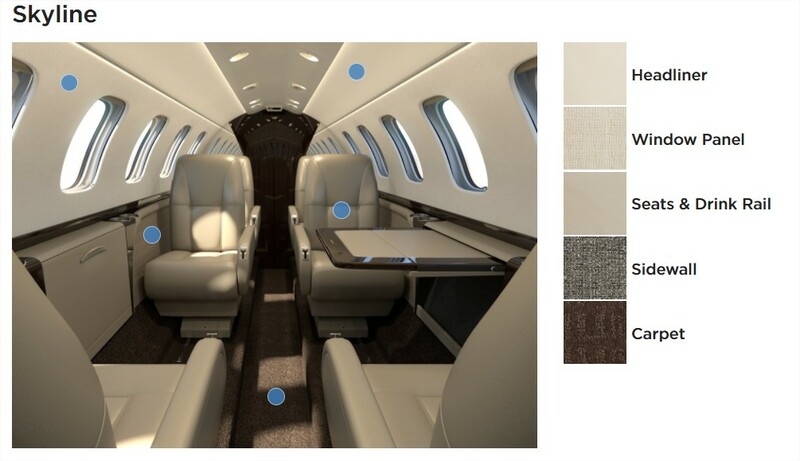 The beautiful yet neutral hues pull together rich textures, maintenance-friendly materials and subtle patterns that will appeal to most operators and passengers. Two of the collections are very neutral and the remaining three options work in more gray, taupe and cream, respectively. Operators can combine the interior refurbishments with a Rockwell Collins Pro Line Fusion flight deck upgrade and have their aircraft back in service with the best turntimes in the industry. In addition to the interior collections, Rachael also designed six fresh paint schemes for the CJ3, consisting of five original, Duncan Aviation-exclusive designs. To see these collections and three-dimensional drawings of how these interiors will look, visit www.DuncanAviation.aero/cj3interiors.